In a windowless building in a remote part of town, a newly employed young woman, Josephine, inputs an endless string of numbers into something known only as The Database. As the days inch by and the files stack up, Josephine feels increasingly anxious in her surroundings—the office’s scarred pinkish walls take on a living quality, the drone of keyboards echoes eerily down the long halls. 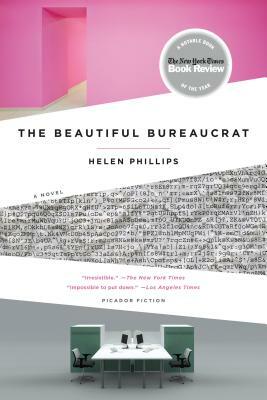 When one evening her husband Joseph disappears and then returns, offering no explanation as to his whereabouts, her creeping unease shifts decidedly to dread, in Helen Phillips's The Beautiful Bureaucrat.